Mastercard today published its 2017 Corporate Sustainability Report, highlighting the ways in which the company is delivering on its commitment to be a force for good in the world. The company broke new ground this year in its philanthropic efforts, allocating $500 million from tax savings to create the Center for Inclusive Growth Fund. It has already contributed an initial $100 million to the Fund. It also gained industry-first approval for its science-based target to reduce greenhouse gas (GHG) emissions. The report reflects topics related to two priorities: influence on business success and importance to external stakeholders. As of 2017, Mastercard has reached 330 million people previously excluded from financial services (goal to reach 500 million by 2020) through initiatives in over 60 countries. Launched three new financial inclusion products – Jaza Duka, Mastercard Farmers Network, and Kionect – to help farmers, entrepreneurs and small businesses thrive using digital financial tools. Funded 55 million meals in partnership with the World Food Programme through donations by employees, cardholders and customers. Expanded “Relaunch Your Career” and parental leave programs to help individuals restart their careers after a break, and support employees during the birth or adoption of a child. Increased number of paid volunteer days to five. Nearly 3,000 employees contributed over 60,000 hours to support almost 2,000 organizations. Launched “Pay it Forward” program in partnership with Mercy Corps as a new way for employees to use their knowledge and skills to help vulnerable communities. Became first payments player recognized by the Science Based Targets initiative (SBTi) for committing to 20 percent reduction in greenhouse gas emissions by 2025. Achieved 100 percent renewable energy across global operations, and 73 percent of office space has earned a green building certification. Diverted 100 percent of electronic waste and 62 percent of global waste from landfills. Launched the Fusion Center, a cross-functional security and intelligence center that unites all of our cyber and physical security defenses. Grew network of technology hubs and innovation labs with opening in India and expansion in New York City. 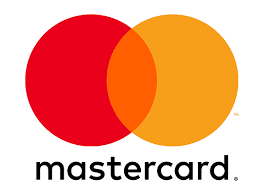 Mastercard has been widely recognized for its efforts to do well by doing good. Honors include Ethisphere’s World’s Most Ethical Companies, DiversityInc’s Top 50 Companies for Diversity, the Human Rights Campaign’s Best Place to Work for LGBTQ Equality, Fatherly’s Best Places to Work for New Dads, and the Committee Encouraging Corporate Philanthropy’s Force for Good award. The report was prepared according to the Global Reporting Initiative (GRI) Standards, the most widely recognized framework for sustainability reporting. For more information and to view Mastercard’s 2017 Corporate Sustainability Report, please visit https://www.mastercard.us/en-us/about-mastercard/corp-responsibility.html.